Soon I had my first glimpse of Jerusalem. My heart started beating fast...Wow! 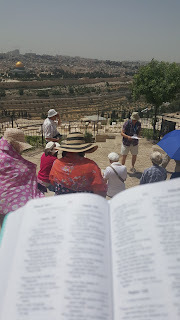 We drove into the city and sat on the Mount of Olives. Surprisingly it was very quiet and we didn't need to push through crowds. As we sat overlooking Jerusalem, the presence of God was tangible. 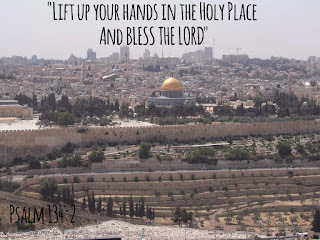 This is the place where Jesus ascended to heaven and this is the place he WILL come again! We sat and contemplated this and sang Amazing Grace. It was overwhelming and I wept. Wept with joy at his amazing grace, wept with thanks that I was here and wept with sorrow for Israel, for our world and for humanity. We soon after descended the mount to the garden of Gethsemane. The trees stood in the garden were from the same roots of the ones that would have stood the night Jesus was arrested. As we sat outside the church of all nations, Helen and Eric spoke. I couldn't tell you what they spoke about as I was in awe. 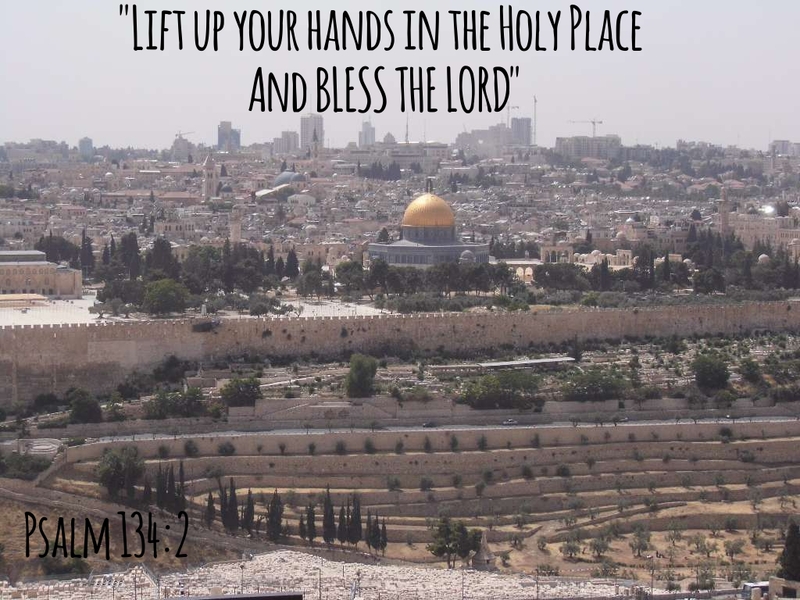 I was overwhelmed by being here in Jerusalem, at a place so significant to me and my faith. and wonder how he can love me, a sinner condemned, unclean. For me it was in the garden, he prayed "not my will but thine"
He had no tears for his own grief, but swept drops of blood for mine. How marvelous! How wonderful! Is my saviour's love for me!